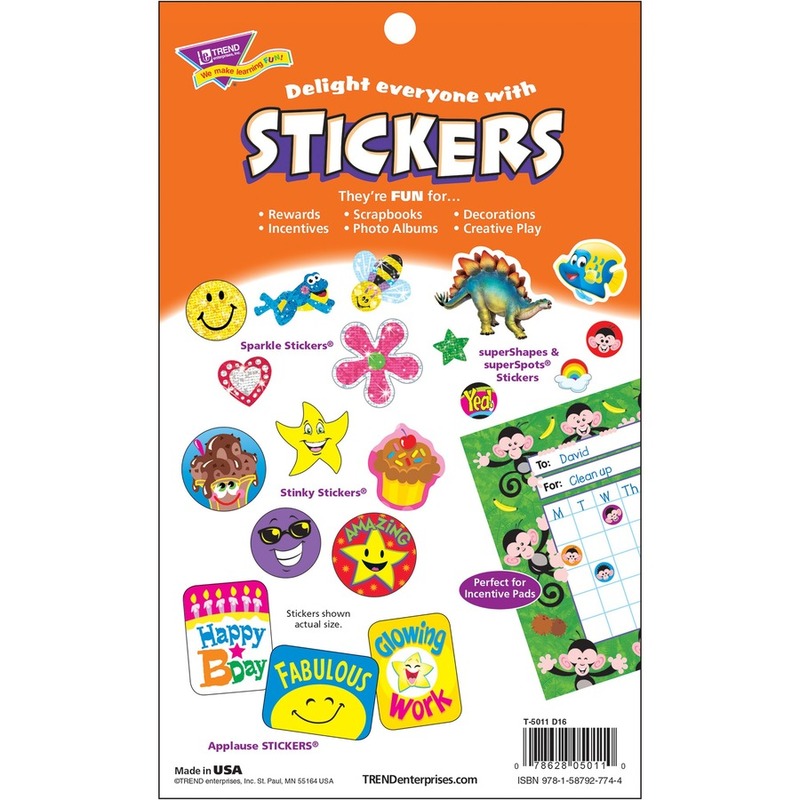 Largest measures 1-11/16" x 2-9/16"
Keep stickers for positive reinforcement handy with this convenient sticker pad. 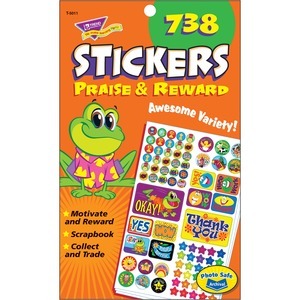 Praise and reward students with the variety of sticker shapes and sizes. Pad includes Applause Stickers, superShapes Stickers and superSpots Stickers. They are all acid-free for less fading, nontoxic and safe for use on photos.